Deniz Nicole’s artistic sensibility evolved from a lifelong passion for experiential science, her early studies ranging from astronomy to physics to the very physical practice of classical ballet. These diverse interests allowed her to view the mysteries of the universe from the unique perspective of equality. She knows that she is just as much a body moving through space as any heavenly body, and her artwork invites all of us to experience the universe in the same way. 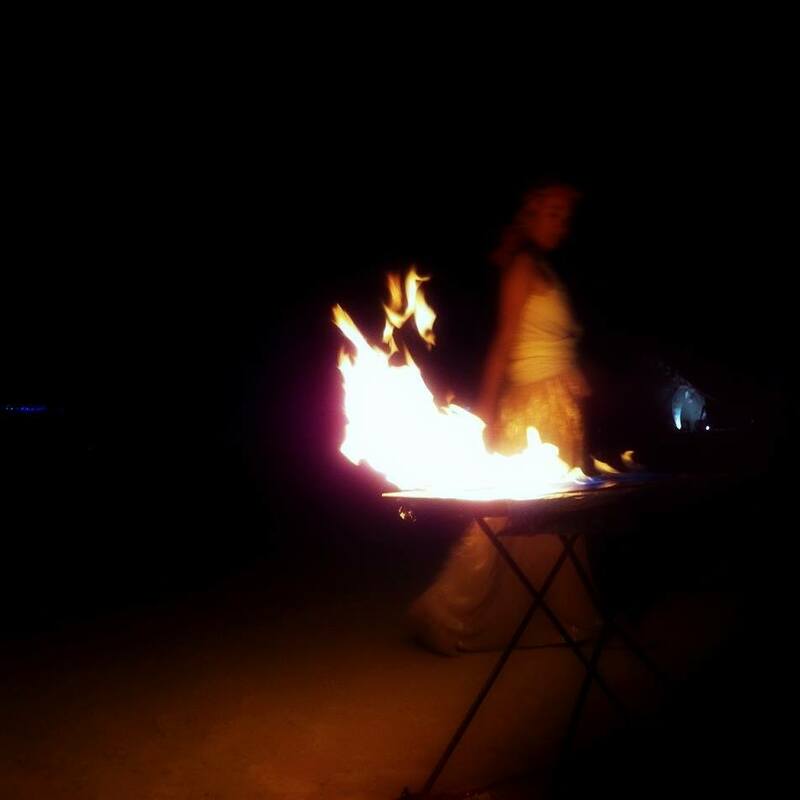 A self-taught artist, Deniz first sought expression through traditional painting but quickly moved on to pyropainting, a technique she invented herself through a series of not-so-controlled experiments exposing pigment to fire. The resulting works - nebulous, emotive bursts of translucent dye on glass - seem to warp and evolve with every change in the light, forcing the eye to continuously re-evaluate the images, and thus making each viewer a participant in the works merely by perceiving them. In this same vein of interactive art, Deniz has also brought her vision to a much larger scale, building her art installation Carousel Candeo for Burning Man 2016. The carousel will consist of several community-created, pyropainted disks that will spin and project light differently throughout each day of the festival. In addition to interaction with each individual painting, the carousel will effectively place participants inside a spinning kaleidoscope, up-ending their normal experience of context, age, body, gravity, and perception all at once. Future works will follow this same trajectory of liminal, experiential, installation projects. Deniz hopes to continue using seemingly mundane physical and chemical reactions to unbalances the senses in fantastic fashion, take us out of our everyday lives, and ultimately reintroduce us to wonder, discovery, and connectedness – to the world and to one another.